How not to get stuck in this. Start a home-based business instead! Thinking of starting a home-based business? Great idea. Here’s why. I have a friend who used to spend two to three hours a day in her car just to get to her place of employment which was only 20 miles away. She would arrive so stressed and so hyper that it was a foregone conclusion that the day was not going to be productive, or that she would be easily wound up by difficult colleagues. She spent all day dreading the commute home through several dozen sets of traffic lights, crawling like a snail for the first 12 miles or so, and then all night spreading the commute back the next day. The public transport links were rubbish and car parking was expensive. It was a lose, lose situation. My friend still had to make money though. Initially she turned to the internet and took on a few jobs. It was tentative. She didn’t believe she could make a living, but she just needed a little extra cash. In fact, those jobs snowballed and before she knew it she had set up an office and was working full time from home and was much happier with her 20 second commute and her home-based business. So if you’re in the same boat what are the advantages and disadvantages of working from home? If you’re working from home there will be distractions no matter how focused you try to be. You may have children or pets for starters. Your Mum may keep phoning because she knows you’re at ‘home’. Also, you may be lured to the television if something special is on – think Winter Olympics or Football World Cup here and you’ll know what I mean. This means you really need to be self-disciplined. 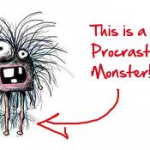 Procrastination is a monster! If you don’t have any self-discipline you need to forget the whole idea of working from home now. You can’t keep breaking your focus by getting up and doing something else, like dusting the living room, nipping to the hairdressers or watching a daytime soap. Equally, you can’t sit at your desk and play Candy Crush Saga or Pet Rescue all day long. If you’re using social media for your business are you going to be able to tear yourself away? You need to be strong! Bizarrely, the opposite to sitting and playing Candy Crush all day also applies. Are you one of those people who cannot tear yourself away from work? 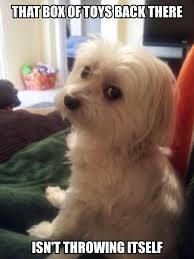 You take the twenty second commute at 8 am and you’re still there at 6 pm, and 7 pm, saying “just another 5 minutes”. It is feasible to put in too many hours. No matter where you are in the house, you will always be ‘at work’. Try to set boundaries between your work life and home life, and stick to them. Sometime it is lonely working for yourself. No matter how much you have always hated the bitching and backbiting and the office politics, you may well miss the company of your colleagues. Hopefully you have a network of friends and family around you, but if you don’t you should try and ring fence time when you can get out and mix with people – maybe at an exercise class, quiz night, or volunteering in the countryside at the weekend. There are all manner of opportunities and community initiatives available. Try some out. If you work for yourself you will have to forego company benefits, although given that these days companies are squeezing more and more out of their employees you might not be so bothered. Things to consider that you may be giving up are: family or health insurance; retirement benefits; gym memberships etc. You may have to find a way to get these benefits yourself, which can be quite costly. If you’re setting up at home you need the space to so it. 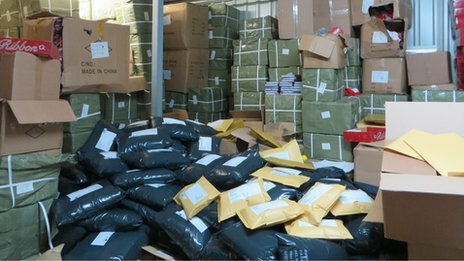 If your business involves selling online you need to know where you’re going to store everything. It’s one thing having a home office but do you have a safe, dry store for any goods that you are going to sell? What happens if the business goes well and you have to expand? (I know, HOORAY!) All of these things need to be taken into consideration. You may already have a laptop and £500 to spend on stock. Great stuff! That may be all you need for now. But you will need a printer, ink, paper, packaging, document wallets, sellotape, labels etc. etc. You’ll need shelves, a phone, a website, lights that work, secure storage etc. etc. Before you know it you will be identifying things you need. Go with the flow. Get them when you can and shop around. But avoid the Procrastination Monster that tells you to sit and shop on Ebay all day. 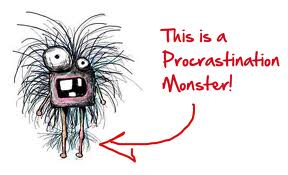 THIS is the procrastination monster. Fear him! He costs you time and time is money! Don’t forget that running a business from home takes work. You’re not just going to be sat on the sofa. This will be your livelihood. You will actually work harder than ever before, although hopefully with more passion because it’s yours! You need to put the effort into your business and constantly market it, nurture it, and plan goals for it. If you enjoy doing this sort of thing that’s a real bonus. People who enjoying taking credit for their own creative ideas are inclined not to not mind being accountable for influencing the success of their business. Think of the savings in petrol, parking, and wear and tear on the car (and on you!) Hell, do you even need a car? Depending on your business maybe you should trade it in for a little van. My friend opted for the car version of a Citroën Berlingo (other vehicles are available) which had fold down seats and plenty of room in the back for transporting goods when she needed to. No more commute also saves you time. You can be productive in that time, or lie in if you really want to, or walk the dog, or play with your children. My friend effectively works an extra 10-15 hours per week now that she works from home, but she isn’t as tired as she was when she was commuting. Wear a onesie to work. Yay! No need for sharp suits and smart shoes. No more make up. No more slaving over an ironing board. Wear a onesie and a pair of slippers – see our article here on footwear just because it’s amazing! 😉 article 😉 You should probably still, shower and shave and make some effort to wear clean clothes though … just saying. Kids need the dentist? You need the GP? 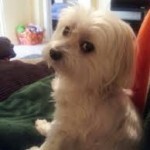 Dog wants a haircut? Trip to see the bank manager? No sweat. Now that you work from home you can accommodate all of these things and then just make up the time afterwards. You can save on daycare if you have your kids at home with you but you need to balance that against potential distractions. There are allowable tax deductions for having a home office, and for business expenses. Also, starting up a home-based business is much more affordable because you have fewer overheads. You need a room or a cupboard or a garage but you are already paying for the rent and utilities to live there. You may be able to claim a small portion back off your heating and internet usage etc. by having a home based business. Record all the incomings and expenses associated with your business so that you can be really clear when it comes to filing a tax return. It’s great that when you have your own business you won’t find yourself hitting the glass ceiling. What you earn, you can either keep or put back into the business. You do have to file your own income taxes however, so keep all of those receipts and proof of your business expenses and pass them to your accountant if you have one. One of the disadvantages to owning a home-based business may be that you are more susceptible to being audited, so keep organized. Wait till your garage looks like this then you’ll KNOW you’re going places! (To a storage unit somewhere probably). Starting a home-based business means that you’re joining illustrious company. Hugely successful multinational corporations started in suburban garages: think Apple Computers and Hewlett-Packard. You could be next! Have we missed any advantages or disadvantages? How do you enjoy your twenty second commute? What did you give up to run a home-based business? Tell us below or join us on Facebook right here Facebook. 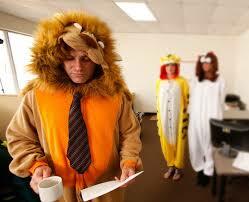 Send us your photos of you at work in your onesie! Good Luck Chris 🙂 Great to hear your going to start your own business 🙂 Feel free to give us a ring when your looking for stock and take time to read my past blog posts, Ie. 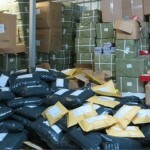 http://www.wholesaleclearance.co.uk/blog/whats-in-a-name-tips-for-naming-your-new-business/ and my eBay and amazon guides. Also http://tamebay.com is a great site that I follow daily.